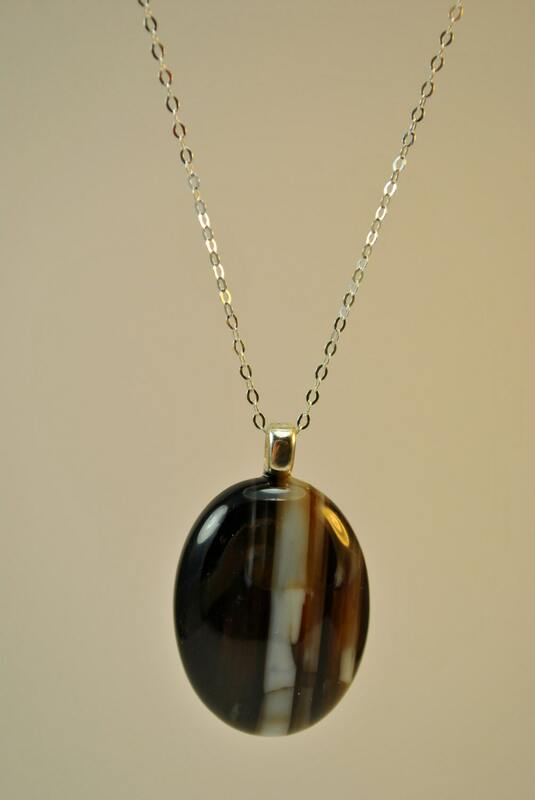 Black and White Striped Agate stone is suspended on a sterling silver linked necklace with a sterling bail. 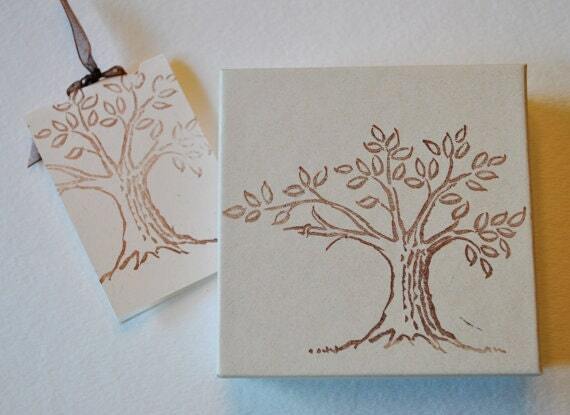 Simple but beautiful! 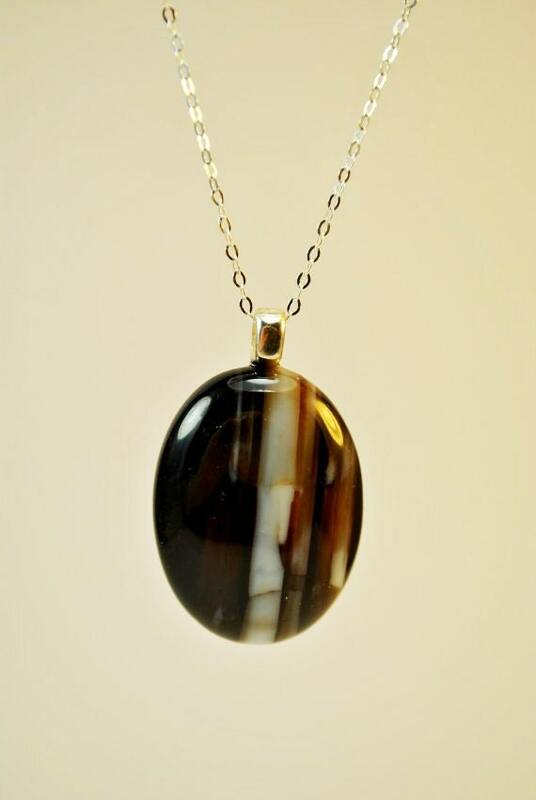 Agates attract strength. Agate is a protection from bad dreams. It also protects from stress and energy drains. 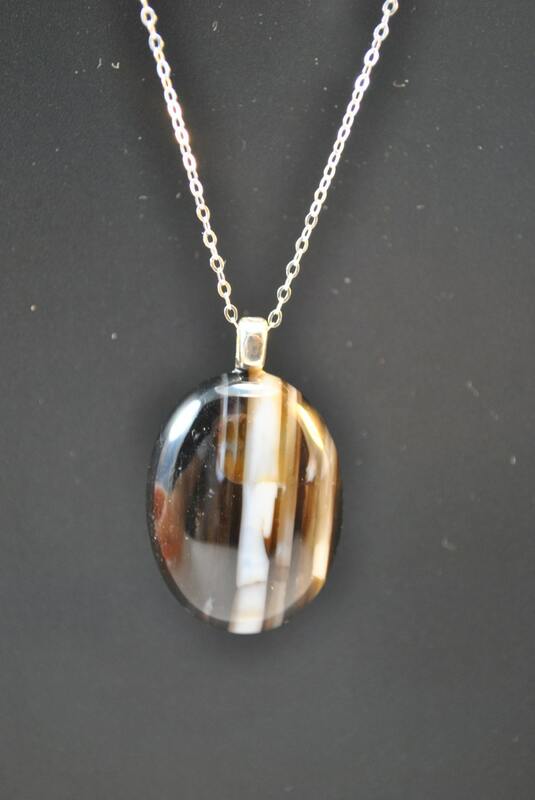 Agates have been used in jewelry since Biblical Babylonian times. They were used to ward off storms. They were prized gems in antiquity. The agates with banded colors were placed at the head of a sleeper to give rich and varied dreams.